Morecambe’s Checkatrade Trophy campaign ended with a defeat against Sunderland on Tuesday night. It was a chance for manager Jim Bentley to give game time across his squad ahead of a hectic run of fixtures. 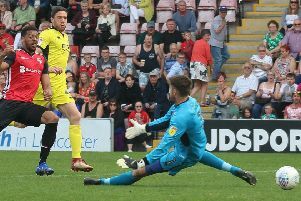 The midweek loss was the first of three consecutive Tuesday night matches for the Shrimps’ squad, meaning there could be some rest and rotation ahead. Watch as Bentley discusses the lessons learned from Tuesday going into a busy fixture list.